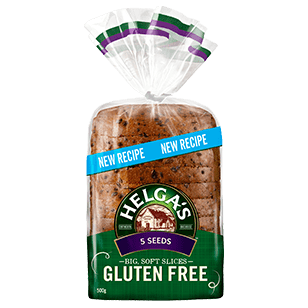 Helga’s Gluten Free 5 Seed bread is full of all the good things you love about Helga’s, without the gluten. 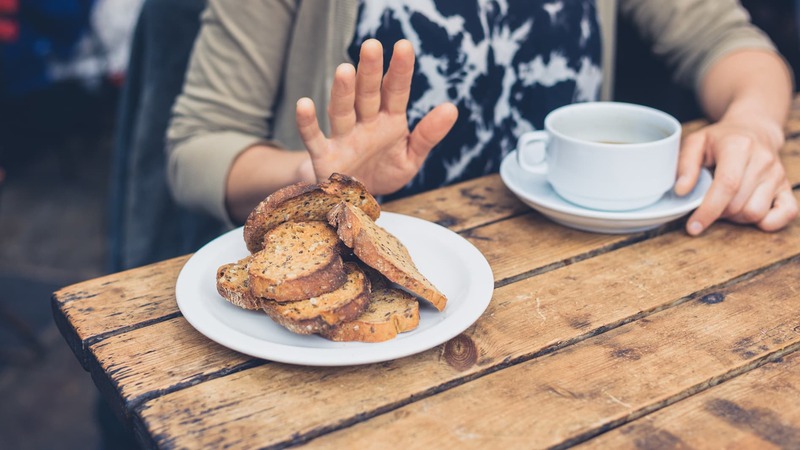 The loaves contain sunflower seeds, linseed, sesame seeds, pumpkin seeds, and poppy seeds. Every slice is soft and delicious so sandwiches are back on the menu! Water, modified tapioca starch (1442), rice flour, seeds (18%) (sunflower seeds, linseed, sesame seeds, pumpkin seeds, poppy seeds), maize starch, potato starch, canola oil, sugar, rice bran, soy flour, psyllium flour, egg white powder, iodised salt, thickener (464, 412), yeast, vinegar, cultured dextrose, vitamin (thiamin). Contains sesame, soy and egg. Store in a cool dry place, out of direct sunlight. Once opened, consume within 3 days.